1. On Day 1, take a 2-hour bus ride from Tokyo to World Heritage site Nikko Toshogu Shrine. A National Government Licensed English Guide Interpreter will provide detailed explanations about Nikko’s intriguing history. 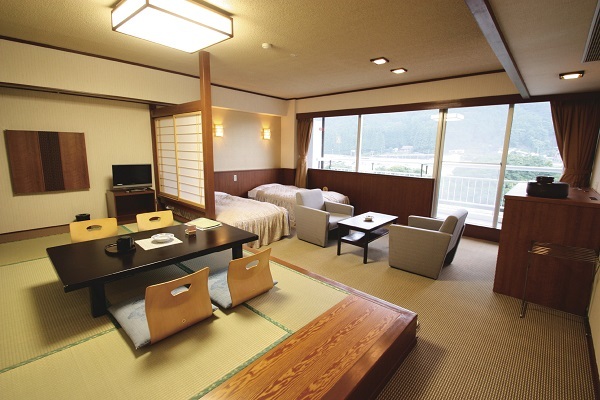 Also enjoy sightseeing at Kegon Falls and Lake Chuzenji, two of the highlights of Nikko. 2. Enjoy free time on Day 2! Use the included Nikko Edomura admission ticket and immerse yourself in the culture of Edo period Japan (1603-1868). The vast premises of this theme park feature a large-scale representation of an Edo Period town. 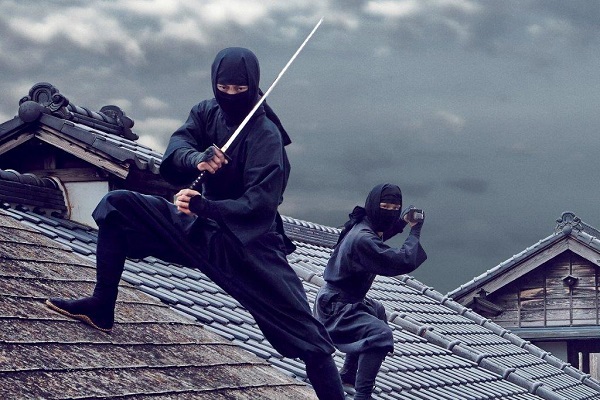 See the Road to Edo, the Inn Town, the Market District, the Samurai Residence, the Ninja Village, and much more! 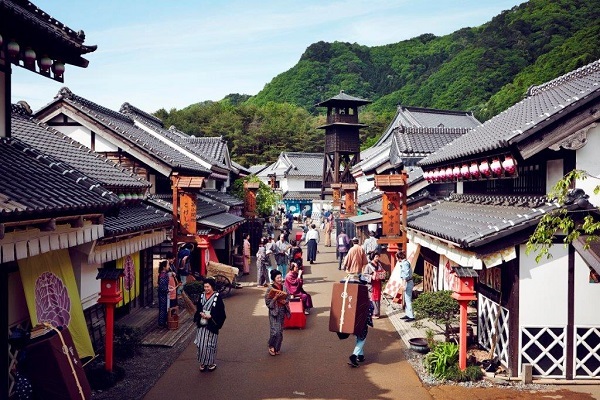 Experience mingling with Edo citizens, or transform into one yourself! Watch some plays in any of the seven theaters, learn all about the culture and history through museums and exhibition halls--there is so much this theme park has to offer. 3. 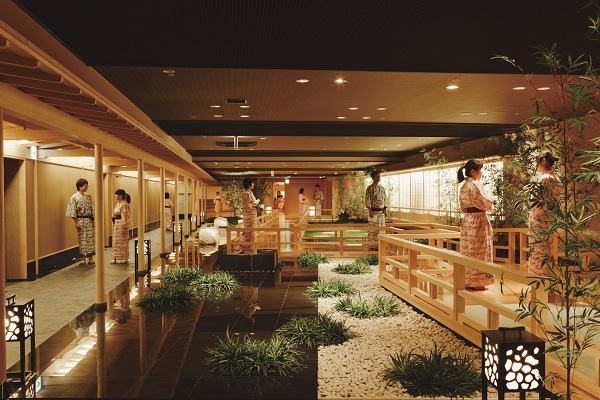 The hotel accommodation features the Onsen Daikairo bathing facility, where several indoor baths and open-air baths can be found. And, when night falls, there is a wondrous dancing water fountain show. 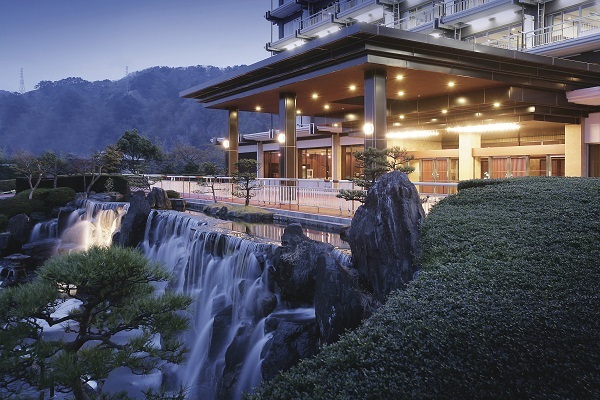 Combining natural beauty with modern design, this resort hotel offers everyone an enjoyable time. 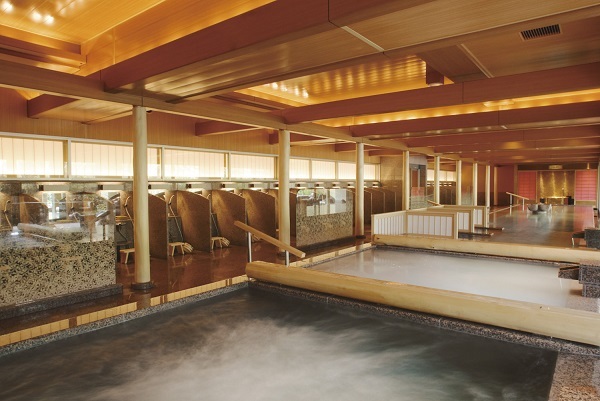 Furthermore, hotel guests may use the “Garden Spa” indoor bathing facilities located adjacent to the hotel. *See Remarks No. 12. 4. Dinner at the hotel will be a Japanese/Western/Chinese buffet with about 60 kinds of dishes. Enjoy red snow crab, sushi, steak, and a variety of other delicious food.